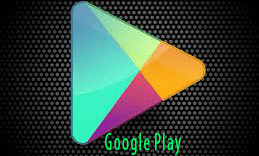 Google Play is digitally concentrated software-content service from Google which contains an online collection for music, movies, books, and Android applications and games, along with a cloud media player. The service is available from the web, Play Store mobile application on Android and Google TV. Acquired content is available through all of these platforms. Google Play was introduced in March 2012 when Google re branded and merged its successors Google Music and Android Market services. Nokia E7: What is New? Nokia C7: What is New? Nokia C6-01: What is New? Nokia X7- for your crack 3D gaming- What is New?